Concrete Sealing & Driveway Sealing Contractors Gold Coast QLD Call Us. 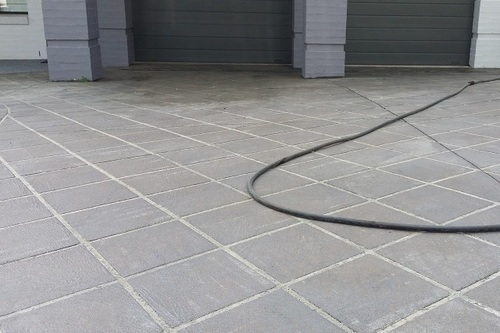 No matter what size area you are looking at applying concrete sealers, proper ground cleaning is critical for proper adhesion and penetration of protective sealers on all hard surfaces. 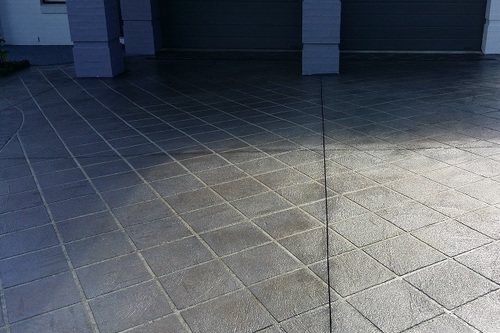 Powerwash Pressure Cleaning can advise you with effective information to ensure we both understand that various hard surfaces required different sealers. Example a stencilcrete driveway sealer will be different than a sandstone surface sealer a tiled surface requires another type of sealer as its a non porous surface which will required a penetrating sealer, trying to cheat on cheaper sealing products will only come back and bite you on the bum at a later stage because the product will lift and peal and you will end up walking the sealer through the house or office, take this from experience as we have seen this and have repaired these faulty surfaces by having to remove the sealer. Our services cater to all pavement sealing & pressure cleaning of all surfaces. Factory Floor Sealing, Dust Proofing, Acid Resistant Protective Sealers, Paver Sealing Entertainment Areas, Common Community Areas, Public Areas & Concrete Driveway Sealing.